Excellent location - right in the heart of the city. Get ready to enjoy the beautiful nights on the town - the locals stay up well past midnight. Just know if you need to be in bed before midnight, the city streets are noisy (look at the business area if that's more your vibe). The staff also went above and beyond to make our stay enjoyable, specifically Xurxo, who worked the front desk. He made us feel welcomed and went above and beyond to accommodate any requests. Would certainly stay again! This is more like a hotel than a hostel. 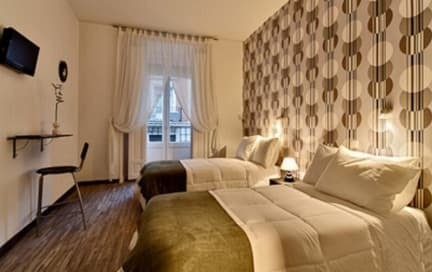 The rooms are very nice and clean, and are similar to a hotel room. The hostel itself is in a great, central location, and I felt very safe the entire stay. The staff was friendly, and when we had a problem with our AC at a late hour, they were very helpful, and moved us to a new, larger room. I would definitely stay here again if I ever make it back to Madrid. It's a good value, just don't come expecting that hostel-like atmosphere. 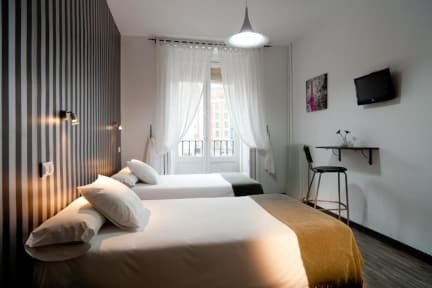 I was only in need of 1 night stay in Madrid, so this was a perfect fit. If I was staying for a few days, would likely like something with more activities and atmosphere. Note, we had a private room and bathroom, so maybe missed some of the options. Overall, great staff, safe and clean, so a good experience!